Dr. Kanishka Kumar: Thanks...studying the right way and not quitting when things got worse. Dr. Kanishka Kumar: My parents are doctors so they were the main motivators. They didn’t panic when initially I didn’t click anywhere. I want to thank my friends for bearing me through tough times. No one can prepare alone and we always need companions. Without them there would have been no result. More than me they believed I could do it. Dr. Kanishka Kumar: My father. Dr. Kanishka Kumar: Many times, especially when my batch mates were getting selected and I was not, I seriously doubted if I am in right profession but I guess there is no pleasure without pain. Ultimately, I got a result. Dr. Kanishka Kumar: For theory, Lippincott’s (only book to be read from cover to cover), Ganong(only general, nephrology, respiratory, cvs regulation), BDC(only very important topics), General Pathology from Robbins(most important book and not reading it should never be an excuse), some topics from Harrison(IHD, Dementia, Stroke etc). For the rest I think going retrograde is better. Dr. Kanishka Kumar: AA and MK are must (I think they would be helpful even for NEET), just do last 5 yrs papers. For Pharma-Gobind Garg, Patho- Arvind Arora, Micro-Rachna Chaurasia, PSM- Vivek jain, medicine and surgery- AA, OBG- sakshi Arora...There is no good book for paediatrics, but Siddhartha sir is very good, follow his notes, Radiology- Sumer sir’s book (earlier I had not read it but when started reading it , I could see that all the questions are in the book. I took the radiology special paper of CMC Vellore and I was amazed that 50% questions were from that book), Ophthalmology and Orthopaedics - Across.....I found no books least productive. Dr. Kanishka Kumar: If it was not DAMS, there would have been no selection. I had heard a lot about DAMS and specially came from Kolkata to join DAMS (that time DAMS was not there in Kolkata but now it is) and it turned out to be a good decision. Their USP, besides their faculty, is their tests, especially NLT(the online test series). It gives you proper grand rehearsals for NEET. I would say each and every PG aspirant should take these tests. Dr. Kanishka Kumar: Some subjects (some frequently repeated topics only) wide and extensive and most of the subjects selective and intensive. Just look at the questions of previous years and prioritise. Dr. Kanishka Kumar: I think the worst thing to happen in PG education is this NEET. We are still feeling the heat. I think appearing in multiple exams is better as anyone can have a bad day, like my rank in AIIMS was not that good but i got one in NIMHANS. Dr. Kanishka Kumar: Biochemistry, Pathology, Pharmacology, PSM, short subjects. You see, now there is a shift in the method of preparation, earlier as AIIMS and AIPG was conducted from the same body, short subjects were very important as you could gain more by putting in less. But now focus is more on 1st and 2nd year. I took the NEET this year and found that barring FMT, questions were quite easy from rest of the 7 short subjects and you can tick them right even with less knowledge. So i would say concentrate on 1st and 2nd year subjects. Dr. Kanishka Kumar: I attempted all the questions (100 questions) as when you fight for 20 odd seats, it doesn’t make sense to leave more than 2-3% questions. The game was different for AIPG where we needed to control our attempts as seats were more but with NEET where there is no negative marking, that strategy goes for a toss as you have no option but to attempt all the questions. In AIIMS and PGI, you can’t leave more than 5 questions as seats are less. I have many friends who are toppers in AIIMS and PGI and they feel the same. 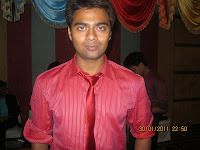 Dr. Kanishka Kumar: Difficult question....Radiology/ortho/Surgery..I will make up my mind when rank comes. Dr. Kanishka Kumar: Recommending DAMS would be an understatement as all my friends and juniors know that what i have achieved is because of DAMS. I highly recommend DAMS to all the aspirants. All the teachers as well as the supporting staff of DAMS are excellent. There is a friendly atmosphere when you enter their building. Special mention should be made of Sumer sir(he will make sure that the subject which you never understood in MBBS i.e. radiology seem like a child play and you can answer not even radio but medicine/surgery/paediatrics questions ), physio mam, Micro sir, ENT sir, PSM sir, surgery sir, Paeds sir, ortho sir.